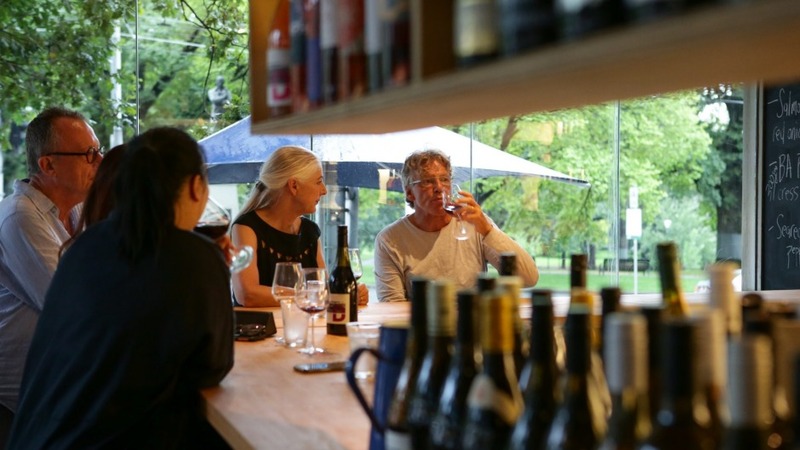 Welcome to Denton Wine Bar, Simon Denton's latest transformation of the Fitzroy Gardens-facing premises he's now commanded for 17 years. You've got to give it to Denton. He likes to keep the good people of Spring Street on their toes. This will be the fifth time Denton has flipped and reversed the concept in this space, on the corner of Spring Street and Flinders Lane. Those with long memories will recall its first incarnation as Verge, the split-level restaurant and wine bar he opened in 2001, where sharp wines met Euro dishes gently Japified. In 2011, Denton dug deep into his obsession with Japan. He introduced the elegant cocktail bar Hihou upstairs (which still exists), with Nama Nama below – a king of the lunch hour for its excellent bento boxes and hand-pulled noodles. Then 2014 brought the luxe and lovely Kappo, a fine-dining kaiseki venue whose fate was sadly sealed when its star chef became ill last year. To tide them over winter, hot pot haven Master Den's Poppu Uppu arose. And now here we go again. But this time, everything has changed. On the cusp of a million new tenants moving into the apartments next door, and at a time when Denton has lived the Japanese dream at the high end and low, he has stripped the room back to its concrete and wooden bones (hauntingly reminiscent of the original Verge) and built a bar he hopes he can grow old in. 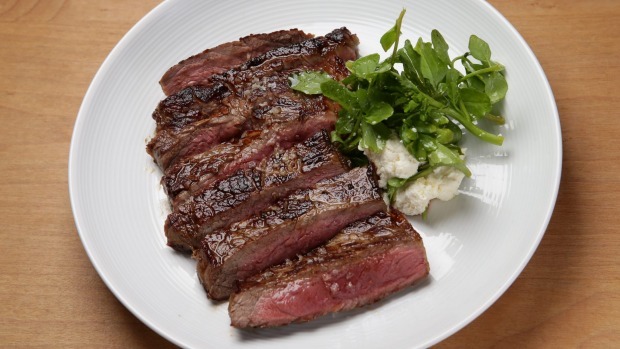 This is not a restaurant. And the only Japanese thing about it is a continued worship of minimalism. You're looking at a Euro-style wine bar and bottle shop custom-built to serve a local clientele, with a menu whose unabashed brevity and simplicity makes it one of the most refreshing things on the market right now. The tiny team consists of Denton, Chris Kloss wrangling the bar and shop, and chef Kieran Hoop, who has come out of semi-retirement to cook a tight menu of just six dishes, chalked on the board and built of market-fresh produce, barely molested at all. Beef crudo is the definition of the word. The soft quenelle of raw sirloin is almost completely unadulterated save for a slash of olive oil, a side of breakfast radishes, crisp toasts and a dish of salt. The salmon carpaccio is just as pure in form: four sushi-grade strips razzed with a dice of red onions, tarragon and dill, lubricated lightly with a little oil and lemon for lift. There's some ballsiness to playing things so unapologetically straight. But there's reasoning too. The wine bar-restaurant line is murky. Denton, however, is a pure breed, where regulars can command which bottle is next to be popped, where grabbing a bottle of Andre Jacquart Premier Cru from the shelf costs just $15 over retail to drink in-house, and where food takes its rightful place as the complementary back-up dancer instead of the diva the wines have to work around. 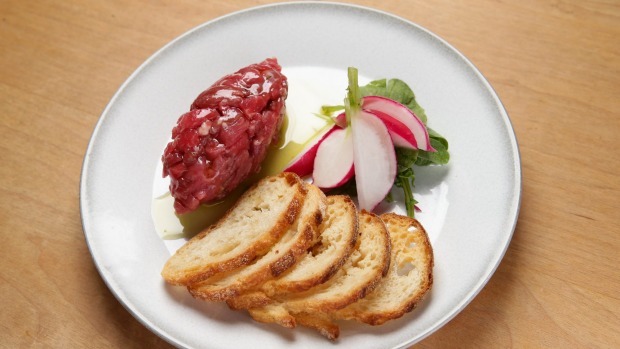 Hence that unobtrusively bare-bones tartare or maybe a little wagyu bresaola or comte. It's the reason side stars are elegantly elemental: zucchini batons lightly warmed in a sweet, buttery reduction of onions and anchovies, and a salad of black russian tomatoes in their acidic prime with slips of fresh plum, tarragon and oil are simple, confident classics. This isn't Embla, or Marion. That's the last thing Denton wants. He wants this to be the new home for new locals who have no idea how to use their designer kitchens. Mains? A crisp-skinned, salmon fillet (perhaps a shade overdone – the only slip) braced by fudgy capsicum, olive and fennel-flecked pepperonata, or a well-grilled angus porterhouse, co-piloted by peppery cress (extra peppered) and fresh ricotta, with dijon riding shotgun. Even so, there's appeal to this place beyond its own ambitions. Denton Wine Bar is run by guns with decades of experience who are done with the rat race and here are doing what they really like. It shows in effortless service. And look at the shelves – they're stocked with vintage barolos and treats from the Jura that Denton has pulled from his private cellar. The portfolio from Denton's family vineyard in Yarra Glen, including a crisp, dry nebbiolo rosé (currently being handled by winemaker Luke Lambert), is showcased for $10 a glass. Elsewhere, it's all Australian producers they like – Lambert's own wines, pet-nats from Vino Athletico, Dormilona cavas and the fun times gear from Jasper Button in the Adelaide Hills. This isn't a restaurant. It's the antidote. An ego-stripped expression of everything that's good about drinking and dining in this town. Pro Tip: Pocket a bottle of Denton's nebbiolo rosé (only available here) and schlep it to the park. 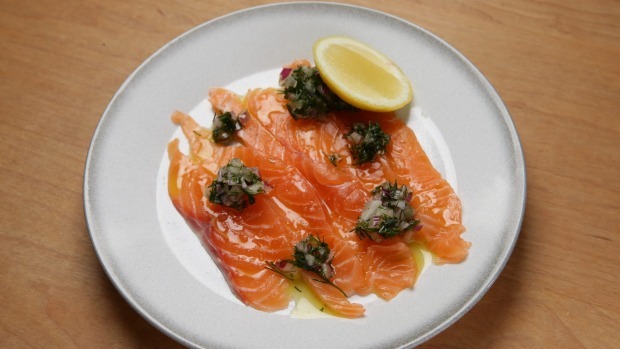 Go-to Dish: Salmon carpaccio with red onion, herbs ($14).